Is Colonialism Why Africa Isn't Like Wakanda? What if Africa wasn’t colonized by Europeans? What if Europeans didn’t have access to exploit Africa’s resources and people? Would Africa be prosperous, peaceful, powerful like Wakanda? What-if questions have always been an integral part of comic book lore. In 1938 Jerry Siegel and Joe Shuster created the archetype for superheroes when they asked, “what if a small boy from a small town in Kansas became the most powerful person in the world? That boy is Superman. In 1963, Stan lee and Jack Kirby asked, “what if Martin Luther King Jr. and Malcolm X had the powers to read minds and control bullets? That developed into Professor X and Magneto. More recently, some of the most critically-acclaimed comic book stories are premised by what-if questions that challenge our perceptions of history. In 1986, Alan Moore explored Dwight D. Eisenhower’s domino theory when he asked, “what if superheroes helped America win the Vietnam War?” in Watchmen. In 2003, Mark Miller personified nuclear weapons when he asked, “what if Superman had been raised in the Soviet Union?” in Superman: Red Son. These are the best kind of comic book stories. They mix fantasy and fact to say something surreal, something profound about the world. They create alter egos and alternate realities. And this is one of the many reasons why I loved Black Panther. In the film, it’s Wakanda, not T’Challa, that emerges as the hero. 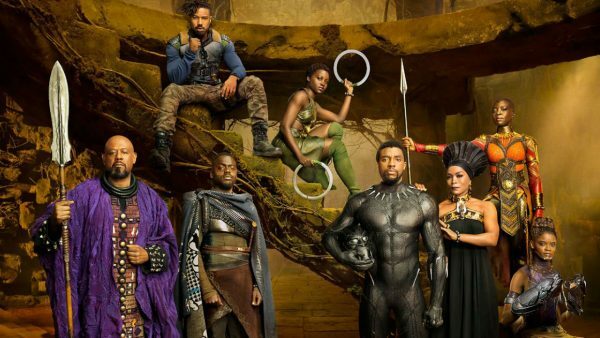 T’Challa may represent a pan-African leader many Africans want for the future, but Wakanda represents something many Africans want for the past. Wakanda represents the whole of Africa in an alternate reality—a reality without colonialism. In the Marvel Cinematic Universe, Wakanda did not lose its most precious heroes as property for White people. It did not lose its most precious resources to foreign, White villains like Ulysses Klaue. Wakanda was protected from Europeans who owned African people, African property, African places. Wakanda is the richest and most technologically advanced nation in the world. It is represented by many of Africa’s real, distinct tribes. They sing together in harmony. They dance together to the same beat. They are led by an incorruptible leader. They are a prosperous, peaceful, powerful Africa—because they were not colonized by Europeans. This is echoed throughout the film, especially by its sympathetic villain, Killmonger. But Black Panther is wrong on this point, Africa’s biggest problem isn’t that White men like Ulysses Klaue stole its resources under colonialism. Africa’s biggest problem is that African men like Killmonger rule Africa like villainous kings. Colonialism in Africa started as a rule soon after Europe abolished the Atlantic slave trade in the 19th century. By that time, the slave trade had become less popular and more problematic for Europe. Colonialism, however, allowed European nations to exploit Africa in a different form of slavery. Under the slave trade, Europe owned African people as property. Under colonialism, Europe owned African places as property. European powers scrambled and divided Africa by artificial borders and changed Africa’s landscape forever. In their arrogance, they divided members of the same ethnic groups into different colonies. In their ignorance, they joined members of enemy ethnic groups into the same colony and played favourites between them. At best, this produced tensions between ethnic groups like the Ewe and the Akan in Ghana. At worst, this culminated into many of Africa’s civil wars, including the Rwandan genocide, when Hutus slaughtered up to a million Tutsis. Under colonial rule, Africans were treated as second-class citizens in their own land. They were sometimes subjected to forced labour. Tax rates by the colonial powers were burdensome. Their taxes, minerals, and crops were used to invest into Europe and other European colonies, which stagnated Africa’s economy. But colonialism isn’t necessarily why Africa isn’t like Wakanda. Sub-Saharan Africa was, in a sense, never prosperous, peaceful, and powerful. This is largely because they were isolated from the world during the most progressive times in world history; they did not benefit from the rewards of globalization. Without Greco-Roman influence, for instance, Sub-Saharan Africa simply didn’t have the education and technology to keep pace with Europe. In fact, much of Africa’s development over the last century is mostly because of European education, technology, and missions. If Africa would have been peaceful without colonization, how do we explain Ethiopia? Europe could not colonize Ethiopia; they are essentially the only African nation that wasn’t subject to European colonization. And yet, Ethiopia is one of the most dangerous, poor, fragile countries in the world today. Ethiopia suffers from much of the same internal problems that all African nations suffer from, including a history of corrupt leadership. Some blame rampant corruption within African politics on the legacy of European colonization. But African leaders have been the primary villains in African stories for centuries. Long before Europeans explored Sub-Saharan Africa, African leaders invaded and colonized rival ethnic groups. My Fanti tribe actually developed a relationship with the British as a form of protection against the Ashanti, who regularly invaded Fanti villages to sell my distant relatives as slaves. Black Panther’s Wakanda may be set in Africa, but it isn’t set in reality. Africa wouldn’t, under any circumstances, look like Wakanda. Remember the scene when Killmonger killed a Wakandan leader and destroyed some of Wakanda’s resources? That is what African leaders have been doing to Africa for centuries. After all, do we really believe that African leaders who sold their neighbours for rum, mirrors, and weapons would have led Africa to prosperity, peace, and power? Hasn’t the last century of African independence proved otherwise?